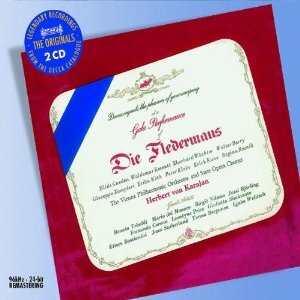 For our musical New Year's Eve, we're going to hear the entire Gala sequence from Act II of this famous 1960 recording of Die Fledermaus conducted by Herbert von Karajan. And in our first recording we're going to hear something extraordinary in the Orlofsky of the young Brigitte Fassbaender, not just a ripely characterful performance but from a vocal standpoint quite staggering, managing the tricky melodic hopping in full, radiant voice and making perfect sense of the words. king of all wines! Champagne! there sparkles a life divine, tra la la! love the sprig of the laurel. the sweet juice of the grape! to the king of all wines! ALL: A toast! A toast! A toast! and acclaimed throughout the land! Long live Champagne the First! partakes of refreshment at this spring, tra la la! he acquires a ruby nose! -- translation by Peggie Cochrane for the Decca Record Co. 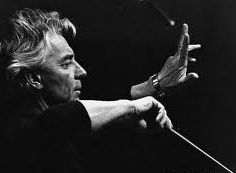 It still rattles me to realize that the 1960 Decca Fledermaus conducted by Herbert von Karajan (already his second recording of the operetta, and a huge improvement), which was issued first with a Decca all-star gala sequence and then also without it, and which I'm accustomed to thinking of as the basic Fledermaus recording and also an enduring souvenir for the Gala sequence, is now a vaguely and rather confusedly known historical relic. True, it's now more than 50 years old, but still . . . Anyway, I thought an obvious way to celebrate on New Year's Eve would be to hear the whole of the Gala sequence. I hope the singers don't need any introduction, despite the passage of all this time, but I don't know. Just for our listening convenience, I've broken it down into three chunks. OR IN ONE FELL SWOOP . . . I started by putting all ten Gala selections in a single music file. Since the file is already made, I thought some listeners might enjoy having the whole thing available for continuous listening. Georges Prêtre conducts the Vienna Philharmonic in the Overture to Die Fledermaus at the 2010 Vienna New Year's Day Concert. First Rosalinde shows off the depths of her despair at her impending abandonment by her prison-bound husband. eight whole days without you! To whom shall I recount my grief? EISENSTEIN: O God, how upset I am! This leads directly into a bit of an explosion from all three secretly ball-bound grievers. Oh goodness, how upset I am! 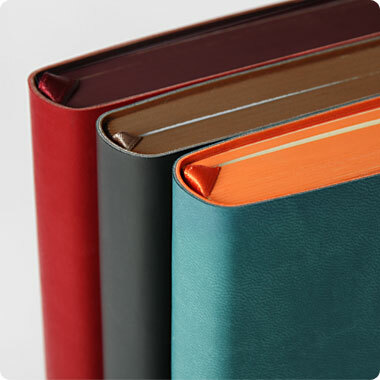 You can find a German-English libretto here. We celebrate with -- what else? -- champagne. And then Sunday I will try to offer a few hints as to why I love Fledermaus so much. 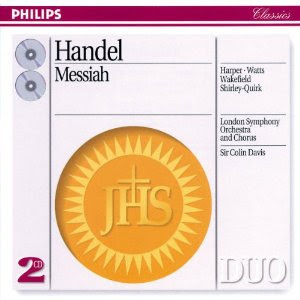 It's astonishingly easy to recommend a single Messiah recording. Colin Davis's 1966 London Symphony version, with an excellent solo quartet, was something of a revelation when it was released, but more importantly remains a riveting musical experience. Plus, it's offered at an exceedingly modest price. A no-brainer. Back in Handel's time, an overture was designed more to get the show going than to give us any particular feel for what kind of a show it's going to be, and while I've grown to love Messiah's, I remember how modestly suited it seemed to me when I first got to know it to the task of introducing such a grandiose enterprise as Messiah. Tthough this is actually one of the better such performances I've heard, yes, it sounds like Handel has a bad case of hiccoughs. By the way, in nearly 40 years of doing record listings, I don't believe I've ever before included "[sic]" in the identification of a performer. Note particularly the coloring and sustaining use of winds, especially brasses. Actually, the Mozart version itself can sound wildly different, as I could show you if we allowed ourselves to be sidetracked. However, if we were to go down that path, we'd never get any closer to our destination today. I was double-checking the audio clips, and as soon as I heard once again the opening of Michel Corboz's performance of Mozart's version of the overture, I decided maybe we better had hear another performance, to drive home the point that saying "it's Mozart's version" doesn't tell us what it's going to sound like. And as long as we're doing add-ins, here's the Klemperer performance that we heard Friday night. After hearing Jon Vickers's stupendous accounts last night and Nicolai Gedda's perfectly fine one (with Otto Klemperer) Friday night, we have to tread carefully. I could just fob off an "authentic" performance on you, which makes the music sound reasonably pleasant but nothing more; okay, I've plunked one in. Or we could go in a rather different direction. With regard to the German-language performance below, it's important to remember that in the land of Handel's birth the locals have never stopped thinking of him as one of their own, even if he himself did (he considered himself a true Englishman, named George Frideric Handel, not Georg Friedrich Händel), and a lot of the pioneering efforts of the big Handel revival of the 1950s and '60s, including a significant part of the new scholarship, including the launch of the new critical edition of the works, was centered in Germany. It's worth noting that Fritz Wunderlich indeed sang a fair amount of Handel. QUICK NOMENCLATURAL NOTE: Again, we're following published scores in distinguishing between recitatives that are accompanied by orchestra, accompagnati, which count in the musical numbering, and the occasional straight continuo-accompanied recits, which don't. Comfort ye, comfort ye, my people, saith your God; speak ye comfortably to Jerusalem, and cry unto her, that her warfare is accomplished, that her iniquity is pardoned. The voice that crieth in the wilderness: prepare ye the way of the Lord, make straight in the desert a highway for our God. Every valley shall be exalted, and every mountain and hill made low: the crooked straight and the rough places plain. GREAT CHORUS "AND THE GLORY OF THE LORD"? We don't have quite the performance I might wish, but we won't go too far wrong with that master chorus trainer Robert Shaw. No. 4. Chorus, "And the glory of the Lord"
And the glory of the Lord shall be revealed. And all flesh shall see it together, for the mouth of the Lord hath spoken it. WITH THE ACCOMPAGNATO "THUS SAITH THE LORD,"
And nobody understood that better than Sir Thomas Beecham. We're going to hear it from the first and last of his three recordings, made more than 30 years apart. Note that both times Sir Thomas assigned the great air that's set up by this recitative to his bass. Nowadays it's more often given to the alto, and I thought we should hear this split-verdict alternative.I love the sound of a great Maureen Forrester-style contralto in "But who may abide," but I thought we'd something different: a lighter, lither, and unmistakably Italianate alternative -- Lucia Valentini Terrani is fondly remembered for some winning Rossini (Isabella in L'Italiana in Algeri) at the Met c1975. We might recall that in his musical passions and palette Handel was one of the greatest Italianate composers of his day. No. 5. Accompagnato, bass, "Thus saith the Lord of hosts"
No. 6. Air, alto or bass, "But who may abide the day of his coming?" Thus saith the Lord, the Lord of Hosts: Yet once, a little while, and I will shake the heav'ns and the earth, the sea and the dry land, and I will shake all nations, and the desire of all nations shall come. The Lord, whom ye seek, shall suddenly come to His temple, ev'n the messenger of the Covenant, whom ye delight in, behold, He shall come, saith the Lord of Hosts. You'd think that the trend to smaller choruses brought on by the "authentic"-practice movement would make this easier to perform, but in my experience the result has been mostly to trivialize the piece. So instead we're going to go in the opposite direction: continuing on with Sir Thomas Beecham's 1959 recording, with its sizable (though not enormous) chorus. Sir Thomas, you'll note, takes a fairly moderate tempo to accommodate that melodic passagework -- sensible! In the end, he makes the piece count in a way that not many performers manage. No. 7. Chorus, "And he shall purify"
TO THE DELIGHT OF "O THOU THAT TELLEST"
I might note, though, the austere, humble beauty of the preceding recitative -- true recit, note, not accompagnato. Recitative, "Behold, a virgin shall conceive"
No. 8. Air, alto, and chorus, "O thou that tellest good tidings to Zion"
Behold, a virgin shall conceive, and bear a son, and shall call his name Emmanuel, "God with us." O thou that tellest good tidings to Zion, get thee up into the high mountain. O thou that tellest good tidings to Jerusalem, lift up thy voice with strength. Lift it up; be not afraid; say unto the cities of Judah: Behold your God! In last year's Sunday Classics Messiah post, one of the principal ways we looked at the oratorio was through the bass's eyes with audio illustrations by the wonderful American bass-baritone Donald Gramm and the German bass (singing in his own language) Franz Crass. Even if the bass loses his first potential aria opportunity, No. 5, "But who may abide the day of His coming," to the alto, retainiing only the dramatic setup recitative, No. 4, "Thus saith the Lord," he's still left with three stupendous arias, one in each part. The later ones are hugely energetic bravura showpieces: "Why do the nations so furiously rage together?" in Part II, and "The trumpet shall sound" in Part III. The Part I accompagnato and air are something else, all the more so coming as they do right after the uncomplicatedly joyful "O thou that tellest good tidings." As fine as Samuel Ramey's performance is, I couldn't help but bring back Donald Gramm's for an encore performance. To me this wondrous sequence sounds if anything fresher than the day it was written. No. 9. Accompagnato, bass, "For behold, darkness shall cover the earth"
No. 10. Air, bass, "The people that walked in darkness have seen a great light"
For behold, darkness shall cover the earth, and gross darkness the people: but the Lord shall arise upon thee, and HIs glory shall be seen upon thee. And the Gentiles shall come to thy light, and kings to the brightness of thy rising. THE GREAT CHORUS "FOR UNTO US A CHILD IS BORN"
It brings to a rousing climax the first part of Part I, and what seems unmistakable to me is that the miracle Handel is celebrating is not exclusively the birth of a particular child but that of "a" child -- with all the miraculous possibilities attendant on the occasion. Also, among the names that this child "shall be called," note how Handel separates and italicizes "the Prince of Peace." No. 11. Chorus, "For unto us a child is born"
For unto us a child is born, unto us a son is given, and the government shall be upon his shoulder, and his name shall be called Wonderful Counsellor, the Mighty God, the Everlasting Father, the Prince of Peace! The "Pifa," or "Pastoral Symphony," is a much-played Handel excerpt, but I'm not sure the musical material is substantial enough to sustain the drawn-out approach of many older-style performances. Still, in this matchup of "authentic"-style vs. working-musician's style, give me Ormandy any day. And we continue with the Ormandy Messiah for the luxurious presence in a Handel oratorio of of the great Eileen Farrell. The soprano's little solos in this mixture of straight recitative and accompagnato are building to the grand chorus "Glory to God," but we shouldn't fail to notice the delicious tone-painting along the way. I mean, has an angel ever been announced more angelically, musically speaking, than Handel does at the start of No. 13? Recitative, soprano, "There were shepherds abiding in the field"
13. Accompagnato, soprano, "And lo, the angel of the Lord came upon them"
Recitative, soprano, "And the angel said unto them"
14. Accompagnato, soprano, "And suddenly there was with the angel"
15. Chorus, "Glory to God in the highest"
And lo, the angel of the Lord came upon them and the glory of the Lord shone round about them and they were sore afraid. And the angel said unto them: Fear not, for behold, I bring you good tidings of great joy, which shall be to all people. For unto you is born this day, in the city of David, a Savior, which is Christ the Lord. Glory to God in the highest, and peace on earth, good will towards men! SEQUENCE THROUGH THE AIR "REJOICE GREATLY"
Actually, that wonderful recitative-and-accompagnato sequence following the "Pifa" lead up, not just to the chorus "Glory to God in the highest," but then to the ebullient soprano air "Rejoice greatly, o daughter of Zion," which startlingly is omitted in the Ormandy edition (though it certainly wouldn't have played to Eileen Farrell's vocal strengths). I thought we would hear it first preceded by that whole sequence -- from the Colin Davis-Bavarian Radio Symphony, with the wonderful soprano Margaret Price, though by this time she no longer handles the passagework as well as I'm sure she once would have. As it happens, we have another performance of "Rejoice greatly" coming up. 16. Air, soprano, "Rejoice greatly, o daughter of Zion"
Rejoice greatly, o daughter of Zion, shout, o daughter of Jerusalem, behold they King cometh unto thee. He is righteous Savior, and He shall speak peace unto the heathen. As I mentioned, we're going to hear "Rejoice greatly" again, this time sung winningly and fearlessly by Kiri Te Kanawa, a reminder of the international jolt her already-flourishing career got when she sang the similarly jubilant Handel aria "Let the bright seraphim" from Samson at the Royal Wedding of Prince Charles and Princess Diana in 1981. Then we're going to hear her, with helpers including the Norwegian contralto Anne Gjevang and the Chicago Symphony Chorus close out Part I, including the duet version of "He shall feed his flock," which you'll notice carries through the message of consolation of "Comfort ye." It may be worth noting that, chockful as Messiah is with grand choruses -- Part II, for example, concludes with perhaps the greatest of all choruses, the "Hallelujah!" -- the chorus that closes Part I, "His yoke is easy," is a decidedly unmonumental one. Recitative, alto, "Then shall the eyes of the blind be opened"
17. Duet, alto and soprano, "He shall feed his flock like a shepherd"
Come unto Him all ye that labor, come unto Him that are heavy laden, and He will give you rest. Take His yoke upon you, and learn of Him, for He is meek and lowly of heart, and ye shall find rest unto your souls. He shall feed his flock like a shepherd, and he shall gather the lambs with his arm; and carry them in his bosom; and gently lead those that are with young. Come unto him all ye that labor; come unto him that are heavy laden; and he will give you rest. Take his yooke upon you, and learn of him, for he is meek and lonely of heart, and ye shall find rest unto your souls. 18. Chorus, "His yoke is easy, His burthen is light"